Yesterday you asked me, “What’s it like 19 years down the road?” I paused and thought to myself, how does one encapsulate what feels like a lifetime in just a few sentences? So instead I’ll attempt here to answer all your fears in the hope of quieting your fears about the long journey that lies ahead. You said that you fear that you won’t be allowed to grieve after 3 years… 10 yrs, or like me, 18 years. Let me put this out here now — the grief never really goes away, and whether you are 35, 45 or 55, even 75, the loss will forever be a part of you. You will still think of your child everyday, some days will be more difficult than others, some years, especially the significant ones, will be more of a challenge. Like the year he should’ve graduated from high school, or from university. The times when you come across someone his age and learn about their milestones — an engagement, marriage, the birth of a child… You will always stop and wonder, what he or she probably looks like in heaven. It’s just the way it is my dear. But in those interim years, you will find that grief, when you embrace it fully, when you run towards your pain, and not away from it, will bring you many gifts. You’ll discover strengths that you never thought you had, and insights that will make you a deeper, more compassionate human being. After a long period in the cocoon of your mourning, you will emerge a different person — a much better, hopefully more loving one who knows what truly matters in this life. You say that “see you soon” is way too far, and that see you soon needs death. And how you are scared that after 10 yrs of grieving you will be be told that you are “maarte” would have to keep it to yourself. Grief has no timetable, always remember that. For as long as you are not harming yourself, or the people dependent on you, then you’ll be all right. If five or ten years down the road there will be moments that you feel like mourning (and I’m telling you that there will be) then go right ahead and do what you feel is right. Someday will come when Jesus calls us home and when that day comes we will finally be able to share forever with our loved ones. Until then, we strive as much as we can to live a life that is pleasing to the Lord, and one that gives honor to those who have gone ahead of us. Each of us will eventually find a deeper meaning to the loss that comes into our lives. The deep pain we have gone through when we are stronger, becomes our superpower — it will inspire us to fulfill dreams and goals that we probably never could have done if we had not gone through the refining fire of pain. You mentioned that you are scared that people won’t care anymore and that they will forget your child. My dear from experience I can tell you that those who matter, and those who count, never do. 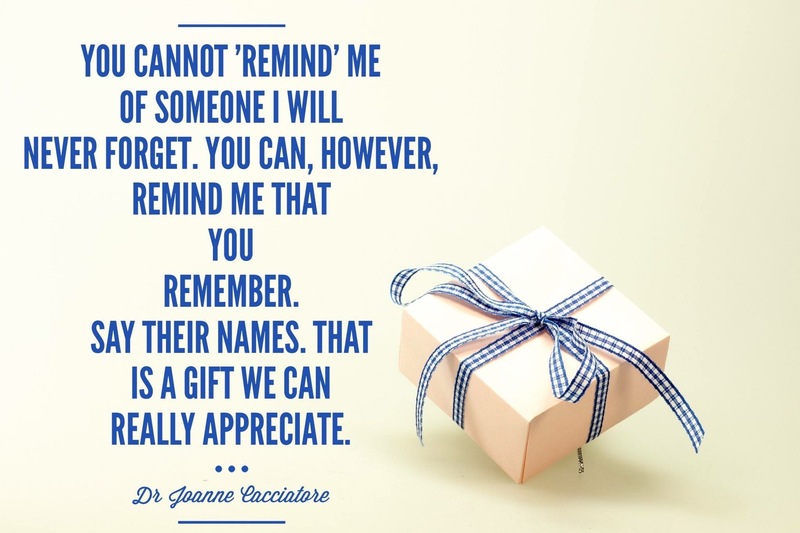 To this day, I have friends and family who mention my son’s name often in conversation. When I post a memory or a story on social media, I have received nothing but love and affirmation. 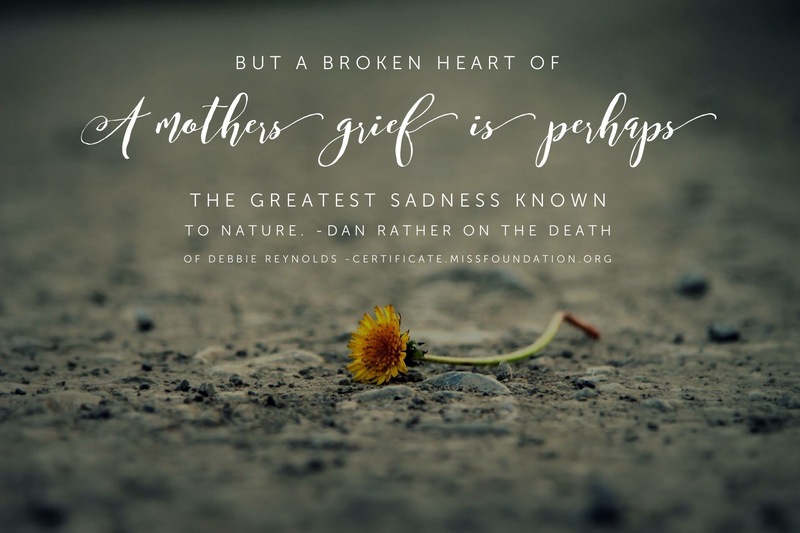 This is one of the gifts that grief brings — it expands your circle, and brings into your lives so much love, so many like-hearted individuals who may or may have not walked the same journey. But yes, there will be those who are quick to judge or perhaps not too sensitive. Just let them be and protect yourself from them. Negative energy is the last thing that the bereaved heart needs. When that happens, learn to roll with it and just walk away. You say that you feel incomplete as a parent, but my dear, know that you are more than enough. That within you lies more love now than you could ever imagine. You are all that your children need. And as you carve out time through the years to mourn your loss, never lose sight too of the other children. For sometimes in our grief we focus too much on the dead and forget the living. Please always be conscious of that. Draw strength and inspiration from what remains. Seek the Lord’s grace each and every day so that you never lose sight of things. Let this loss transform you. C.S. Lewis said, “No one ever told me that grief felt so much like fear.” It’s natural to have all these questions and fears, we all go through them at some point in our journey. But as we live out the years, we live our way into the answers too. Look at where CS Lewis’ sadness and grief has taken him. And though we may not aspire to his brilliance, each bereaved person or parent can shine his or her light on others in many different ways. In your greatest pain, lies your life’s purpose. That my dear, is the greatest gift that grief brings. Hugs and prayers as you journey on. newly bereaved one” in our newsletter? Hi Angie, I’m so sorry I just saw this now. Yes, please go ahead and reprint. Thank you! Thank you so much. I will, of course, include a link to your website and keep the article in it’s entirety without changes, additions, etc. and give proper credit.